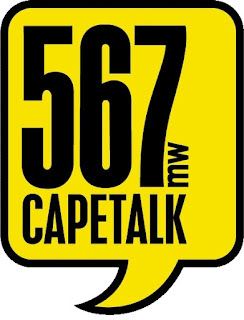 567 Cape Talk Live Streaming Online . CapeTalk is a commercial AM radio station based in Cape Town, South Africa, broadcasting on AM/MW 567 to Cape Town. It is Cape Town's talk station covering the stories that the Mother City is talking about. The subjects might be about the City, the country or global news, but they are chosen because they will be relevant for all . It is well known for hosting, sponsoring and promoting many charity and social events in Cape Town Ex: The CapeTalk Fire Relief Fund . Physical Address : Somerset Square , Suite 7D , 7 Highfield , Road Cape Town. Postal Address : Private Bag 567 , Vlaeberg , 8018 , South Africa .